..So imagine the excitement when this bad boy came along! The Soda Stream - I mean dreams can really come true - just add syrup to carbonated water which you make by pressing the button and voila - you have the real thing! Of course, it didn't taste anything like the real thing but we all thought it was really cool. Fizzy drinks at a push of a button at home! On this diet I haven't reverted back to the Soda Stream but I see that it has made a bit of a comeback. There are all sorts of versions e.g genesis, penguin - if you're stuck for a Xmas present this year check out http://www.sodastream.co.uk/gbretail/Drinks-Makers.aspx?gclid=CJuqnf3ZiKwCFUoY4QodHyz99A how grateful it will be received I don't know. Numerous studies now say drinking fizzy drinks, especially the low cal ones, actually make you crave sugary foods. I would have to agree as I always fancy a bit of chocolate with my diet drink. When I was following the Slimming World diet you can 'drink unlimited' quantities of the stuff - it was 'syn' free. 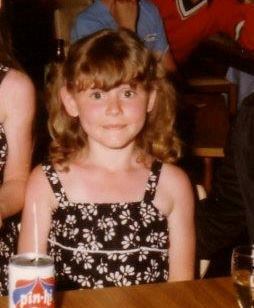 My favourite tipple was diet lemonade. What they don't tell you is this - it strips the enamel off your teeth. I found this out in the dentist's chair who informed me my mouth was a "ticking time bomb of potential fillings". At £75 a pop for the white ones (mercury contaminating ones free on the NHS) I promptly gave up my consumption of the fizzy stuff for a good while. My good self enjoying pin-hi with a straw! I have a horrible diet coke habit which I am finding difficult to break (and I managed to give up smoking with no aids). I do agree it leads you to want sugary foods as well. 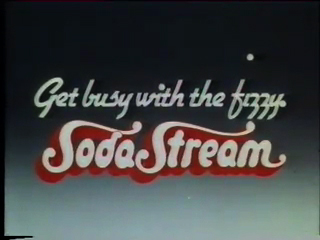 I hate soda stream tho, yuck! !